The tape was announced via text message with Drake. It looks like August 5 won't be all about Frank. 2 Chainz jumped on Instagram last night, August 1, to announce that he will release a new mixtape on Friday. Daniel Son; Necklace Don was confirmed via a screenshotted text conversation he was having with Drake. 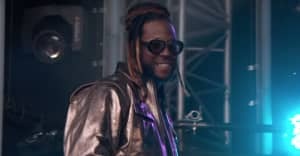 2 Chainz' most recent effort was Collegrove, a joint effort with Lil Wayne. His last solo project was January 2016 tape Felt Like Cappin.